On behalf of the Search Committee and Board of Directors of the American School of Asuncion, I am pleased to report that Christopher Russo has been appointed as the new Director General. (Please see the full school announcement below.) The Search Committee and I wish to thank all those who expressed interest in this position, and we wish you the best as you continue to explore new career opportunities. The Board of Directors is pleased to announce that Mr. Christopher Russo has accepted the position of Director General. Mr. Russo will join ASA in this capacity in July 2017. We eagerly await his arrival, as well as the arrival of his wife, Diana, and his two elementary-aged children. We know that they share this enthusiasm and are looking forward to joining our ASA family. Currently the Assistant Superintendent of Curriculum and Instruction at Portland, Oregon, Chris has an extensive experience and expertise in education. He is recognized as one of the finest educators and instructional leaders, with a strong background in educational methodology and innovative curriculum development. He has the ability to lead and manage change, while building effective relationships. He is committed to school improvement and the highest level of opportunity for all students. We began the selection process for ASA's new Director General in August 2016. The search was conducted by Search Associates, an agency with more than 25 years of experience in recruitment of overseas educators, and lead by its founder Mr. John Magagna. We received many highly qualified candidates, which made for a very competitive course. Three finalists visited ASA during the last days of classes of this past semester. We would to take this opportunity to thank Ms. Debra Giles, who is leaving as Director General at the end of this semester. We are grateful for her dedication and service to the school. We look forward to an excellent semester with her. Lastly, we would also like to thank all the excellent candidates who applied for the position; the US Department of State for assisting ASA with a grant to cover expenses of the search process; and of course all of you - for your support, participation and encouragement during this process. 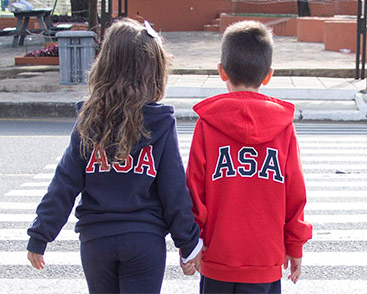 Founded in 1954, the American School of Asunción (ASA) is a private, non-profit, coeducational, college preparatory, day school, enrolling approximately 700 students in pre-kindergarten through the twelfth grade. ASA adheres to the highest standards of educational excellence from the United States and Paraguay while fostering a student-centered and caring environment. There are 180 class days in the school calendar, following the likes of a North-American type school calendar. The first semester begins in early August and ends in mid-December. The second semester begins in early February and ends in late June. There are also fall and spring breaks. The school day runs from 8:00 a.m. – 3:30 p.m. and consists of three divisions: Elementary School (K4-5th), Middle School (6th, 7th and 8th), and High School (9th through 12th). Each division has a full-time principal and guidance counselors. The K-4 is a half-day program. An extensive After-School Activities program runs from 3:45 – 7:00 p.m. The American School of Asuncion strives to be a model international learning community that empowers students to become responsible, proactive world citizens by providing a challenging and holistic education in a safe and caring environment. ASA students will make the world a better place. ASA values excellence, integrity, empathy, and respect. ASA is accredited by the Ministry of Education of Paraguay (MEC) and the Southern Association of Colleges and Schools (SACS) from the United States. Currently, there are about 700 students, of whom approximately 70% are Paraguayan, 20% are United States citizens, and the remaining 10% represent 20 other nations. The school is located on an attractive green, gardened 12-acre site in a residential suburb. The campus contains eleven classroom buildings connected by covered walkways. In addition to the classrooms, there is a library-media center, three fully equipped computer labs, two science labs, two multipurpose rooms, a cafeteria, and a multipurpose Cultrual and Sports Center with music rooms, weight training room and offices, that serves as an important venue for athletics and cultural events not only for ASA students but for the larger Paraguayan community. School facilities also include a full size soccer field, smaller soccer fields, outdoor courts for volleyball, futsal, and basketball, a running track, a covered elementary basketball court, and K4 and elementary playgrounds. The whole school campus is equipped with WiFi. There are about 75 full-time and part-time teachers, staff and administrators. Eight (8) nationalities are represented, of which over 50% are U.S. citizens. 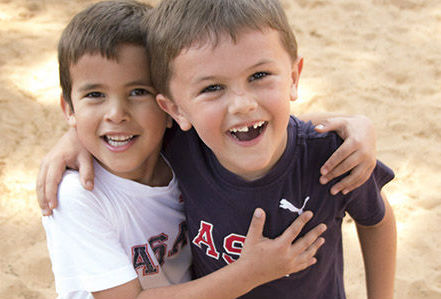 ASA provides a wide variety of co-curricular and athletic opportunities to students from K-12. These include a broad range of sports, Model United Nations, Knowledge Bowl, Classroom Without Walls, and the National Honor Society. Student leadership is encouraged through an elected Student Council in the Elementary, Middle, and High School. Special events throughout the year, including: Paraguayan Folklore Day, International Day Festival, Halloween, Holiday Fest, art shows, field days, school outings, visiting speakers, and special holiday celebrations. Student groups are also responsible for the publication of a school newspaper and yearbook. The Director General of the American School of Asunción is the Chief Executive Officer of the school, invested by the Board of Directors with the responsibility and authority for the overall direction of the school, within the policies and directives established by the Board. The school seeks to hire a dynamic school administrator who has a demonstrated history of successful management performance in the field of education (PreK – 12th). Previous experience as a school administrator in an international school. Successful experience with strategic development in the planning and implementation of administrative, financial, and curricular initiatives. Several additional key areas of qualifications, skills, and personal traits have also been identified as being desirable to guarantee success in the position. Proficiency in the Spanish language. Salary and Benefits Salary will be competitive and depend upon the qualifications and experience of the successful candidate. Benefits include furnished housing, shipping, school vehicle, annual home leave, medical insurance, and free tuition at ASA for dependent children. While the initial contract will be for a period of three years, it is the hope and expectation of the Board of Directors that at the end of that time it will be mutually desirable to extend it. ASA has selected Search Associates to act as our consultant to assist with this search. Interested candidates should send an application AT THE EARLIEST POSSIBLE TIME but no later than November 30, 2016. (The review of files will begin as soon as applications are received.) 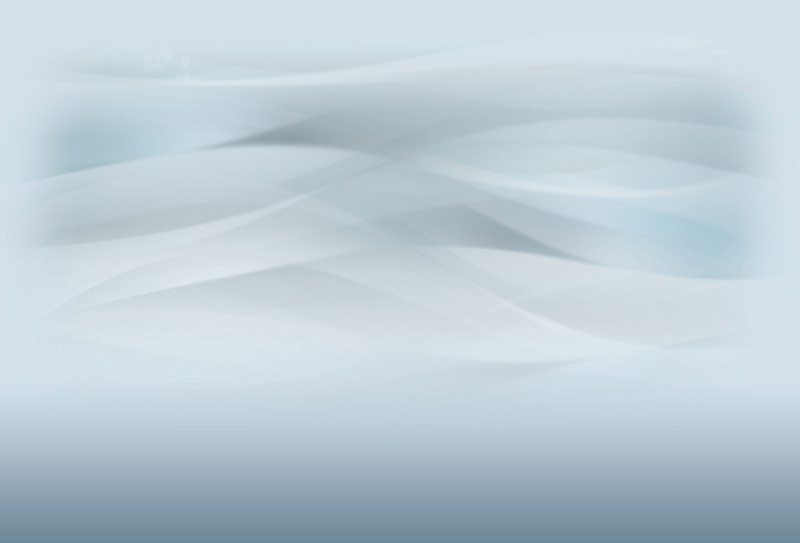 Candidates should note, however, that in the event a uniquely outstanding applicant is identified early in the search process, ASA reserves the right to make an appointment before the deadline mentioned above. For this reason it is VERY IMPORTANT that interested candidates apply as soon as possible. Please note that ALL the above materials must be scanned into a SINGLE PDF ATTACHMENT (low resolution preferred) and sent IN THE SAME TRANSMISSION to Search Associates all of the e-mail addresses listed below. Also, please note that it is important to limit the size of your SINGLE PDF to 8 MB.